I am a board-certified pediatrician practicing in Bowling Green, Kentucky. I graduated from medical school at University of California at San Francisco in 1976, and did my pediatric residency at the University of Arizona. My practice emphasizes prevention and wellness. I try to set a good example to my patients by following the fitness principles that I preach. I avoid tobacco and other drugs. I avoid second-hand smoke. I try to eat a variety of fruits and veggies every day and avoid eating sugar. I never, ever, go to bed without flossing! And I try to get at least an hour of exercise daily. This exercise routine has led me to the discovery of disc golf, the fitness sport of the 21st century. By using disc golf to stay fit, I discovered that I have better-than-average skills in that sport, and ended up with a very successful career as a pro athlete in my spare time. 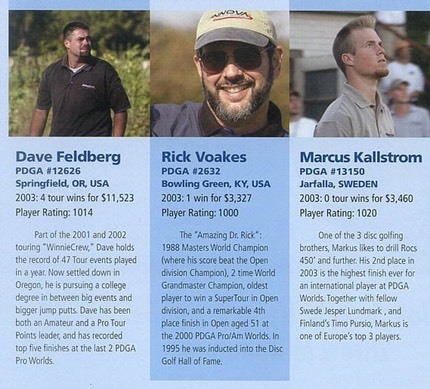 You can find my picture and bio in the Disc Golf Hall of Fame, which is on the internet at www.pdga.com or www.innovadiscs.com. When I turned 60, I joined CrossFit and found a huge improvement in my overall fitness. 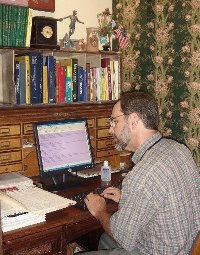 I am on the clinical faculty of University of Kentucky and University of Louisville medical schools. I often have students present in my office, so try to be patient with them! I am a co-founder and president of the Healthy Weight Kids Coalition. Please do take a look at the web page, which contains amazing new information about a world-wide epidemic of metabolic disease: www.healthyweightkids.org. My wife, Sylvia, has been my office manager for 28 years, but is now retired. 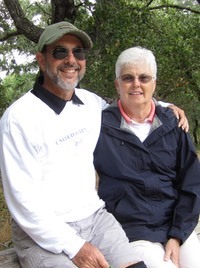 She is also a world-class disc golfer (six-time world champion). My two step-sons, Scott and Bradley, are computer experts and sometimes help me with my computers. My hobbies include historic preservation (fixing up old houses), antique Christmas cards (and other antique postcards), oil painting, arranging and playing music (I play the "wind controller") and collecting doorstops, such as those seen at www.doorstops.org. I have arranged several Ernest Hogan tunes. Please click on his name to find out more about this great figure in Bowling Green history.